view pending transactions and even check your secure messages. 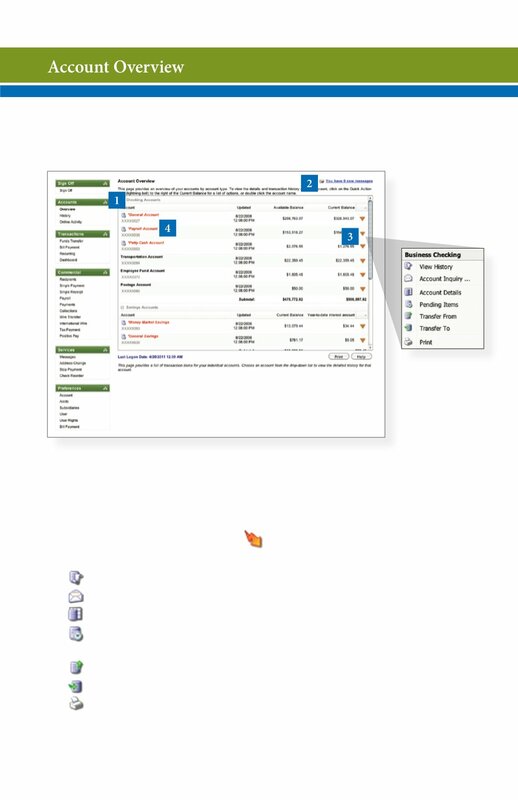 1 | Click any of the menu items to expand or collapse each drop-down item. 2 | If you have any unread Secure Messages, it will be indicated here. A quick link to the history of that account. Send us a secure email about the account. View the details of that account. A quick transfer from that account. A quick transfer to that account. Print the transaction history of that account. asterisk, there is at least one pending transaction in that account.